Robert (Bob) Michalski Was born October 22,1939 in Merrill, Wi and passed August 24,2018 in Las Cruces at Memorial Hospital. He had been fighting Amiloid Leukemia for several years, however, he was golfing that afternoon with friends, took to pneumonia that evening and joined his angels. 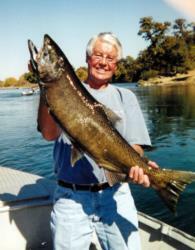 Bob loved to fish, hunt and woodwork. He was proud to serve his country in Okanawa as a U.S.Marine. His love of God and family were very important! We have retired and lived in Truth or Consequences, NM for 11 years. He was a lifelong member of the Wisconsin VFW, and a member of Our Lady of Perpetual Help Catholic Church. Bob is survived by his wife, Candace (Candy); children: Tom (Wendy) of Slinger, WI, Duane (Sandy) of Tomahawk,WI, Bobbi (Dan) Hoover of Stevens Point, WI, Stephanie Vesalak of Stevens Point, WI and Tiata (Jamie) Saegert also of Stevens Point, WI; along with 11 grandchildren. He is also survived by his sister, Betty Ashbeck, of Wisconsin and brother, Al (Mike), of Indiana. Bob is predeceased by his parents, Thomas & Cecelia (Gorski) Michalski. Cremation has taken place and no services will be held per his wishes. His ashes will be spread in Wisconsin at a future date.